“The 50-plus Moviegoer, An Industry Segment That Should Not Be Ignored” found that mid-life and older cinema-goers—in particular, those ages 50 and older—are a powerful force at the box office. The 50-plus consumer group is bolstering blockbusters, driving drama film box office revenue, as well as creating lucrative new niches that don’t rely on mega budgets and foreign exhibition success to be profitable. The study offers a detailed look at the 50-plus moviegoer, highlighting specific trends that are helpful to content creators and theater owners alike. The study found that 51-percent of the moviegoers who saw “Jack Reacher: Never Go Back”, “Taken 3”, “The November Man” and “A Walk Amongst The Tombstones”, were over age 50 compared with 32-percent for the total American cinema audience. The research suggests this phenomenon is because fans are aging alongside their favorite action stars such as Liam Neeson, Kevin Costner and Tom Cruise. 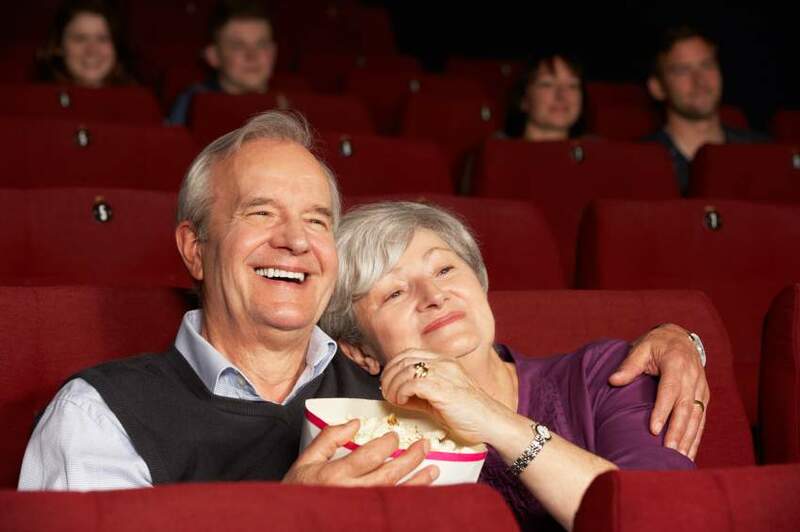 Surprisingly, the 50-plus demographic is a significant contributor to the overall success of blockbuster movies, such as “Star Wars: The Force Awakens” in which 50-plus viewers made up 27-percent of the total audience. The Movio study also found movies that were attended by a majority of 50 and older audiences tended to perform well against how much it cost to produce the movie. Movio found that Christian and Art-House performed the best as a category, while specific movies such as “Still Alice”, “Brooklyn” and “Spotlight” also performed well. This demographic attends movies marketed specifically for them at a rate that is significantly greater than that of the average moviegoer. 50 and older audiences who watched “Woman in Gold” attended the cinema 14.5 times over the past year, compared to 6.7 times for the average American moviegoer overall. “The Hundred-Foot Journey”, “Philomena” and “The Second Best Exotic Marigold Hotel” had similar appeal demonstrating that films about older women, for older women, are successful with this audience. Older adult audiences can create genuine blockbusters too. This phenomenon happened most recently when 86-year-old Clint Eastwood teamed up with 60-year-old Tom Hanks to tell the story of then-58-year-old Chesley “Sully” Sullenberger’s miracle landing on the Hudson River. “Sully” generated $124 million at the domestic box office to date against a production budget of $60 million driven by an audience that was 57-percent ages 50-plus. The AARP study highlighted that older adults also demonstrate distinctive behavior around film release cycles. Movio research has shown this group is significantly less likely than moviegoers under 50 to attend films on opening weekend, with 60-percent of their visits coming after opening weekend, and on average, 15.2 days post-opening. A full copy of the research can be downloaded at aarp.org/moviegoers50plus. Movio is the global leader in marketing data analytics and campaign management software for cinema exhibitors, film distributors and studios around the world. A company of Vista Group International Ltd (NZX & ASX: VGL), Movio is revolutionizing the way the film industry interacts with moviegoers. The company maintains real-time, authoritative data on customer transactions for many of the world’s biggest cinema chains and captures the behavior of millions of active moviegoers worldwide. Movio operates in North America, Latin America, Europe, Middle East, Africa, Australia, New Zealand, China, and South East Asia. Movio was named winner of the “Innovative Software Product” award at the 2016 annual New Zealand Hi-Tech Awards. Movio Cinema, Movio’s flagship product, holds comprehensive marketing data covering 53 percent of cinema screens of the Large Cinema Circuit in North America and 29 percent globally accounting for 37+ million active moviegoers. Movio Media has been a game changer for every major American film studio and distributor, providing comprehensive market data on the demographics, ethnicity and behavior of moviegoers, crucial audience insights and innovative campaign solutions. The Movio Media technology offers the most powerful and most accurate near real-time film market research platform in the United States.